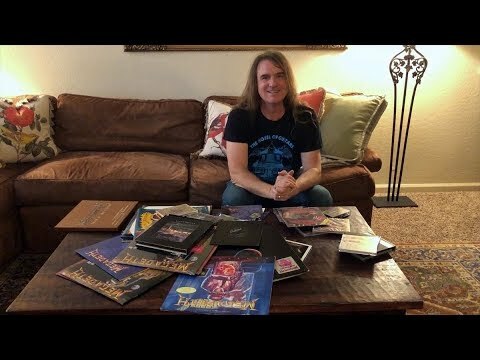 Megadeth - Boot Camp: March 10–13, 2017 Subscribe here: https://megadeth.lnk.to/subscribe Don't miss the first ever Megadeth Boot Camp, from March 10 - 13, on Dave Mustaine's private estate in Southern California. 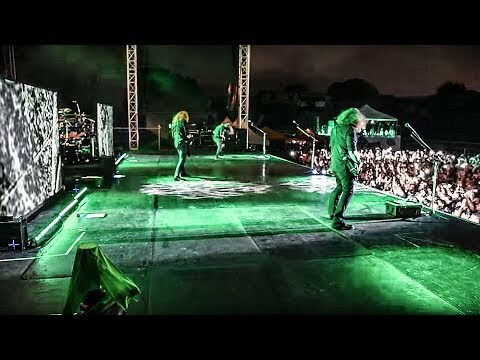 Join Megadeth for fireside stories from the road, an intimate acoustic per"
Megadeth - San Salvador Rain Out - 2 Songs Live 08/26/16 Subscribe here: https://megadeth.lnk.to/subscribe Megadeth forced to cancel after performing two songs in San Salvador due to severe rain storm. Site: http://megadeth.com Cyber Army: http://megadeth.com/cyberarmy Facebook: http://facebook.com/mega"
Megadeth & Lamb Of God To Co-Headline U.K. & Eire Tour On tour with Amon Amarth, Suicidal Tendencies and Metal Church September 20 - October 16, 2016. 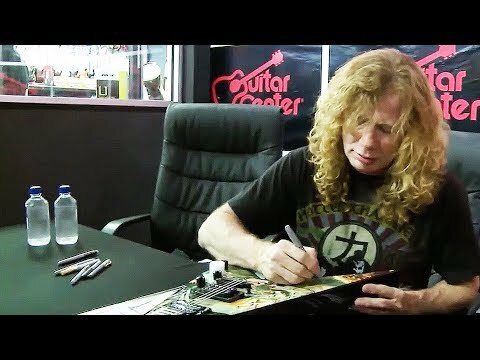 Get tickets: http://www.megadeth.com/tour"
Megadeth - Dave Mustaine at Guitar Center in Dallas, TX Subscribe here: https://megadeth.lnk.to/subscribe Gigantour 2013. 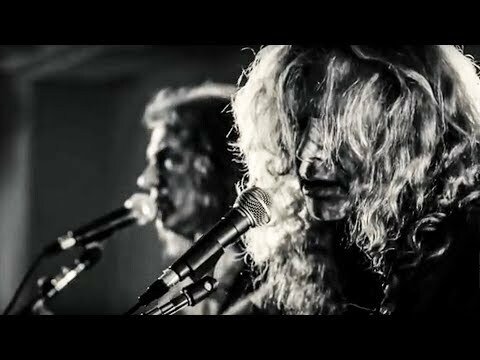 Site: http://megadeth.com Cyber Army: http://megadeth.com/cyberarmy Facebook: http://facebook.com/megadeth Twitter: http://twitter.com/megadeth Instagram: http://instagram.com/megad"
Megadeth - Kingmaker Subscribe here: https://megadeth.lnk.to/subscribe Kingmaker Lyrics -- Mustaine Music - Mustaine, Ellefson Generation of the dark watch their lives decay Persecuting their 'own kind', there's nothing you can say Don't ask anyone for help, they won"
Megadeth - "Whose Life (Is It Anyways?)" 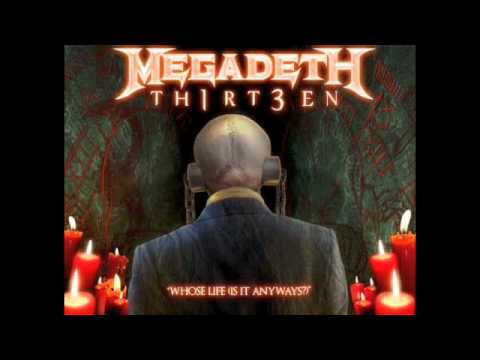 - TH1RT3EN Subscribe here: https://megadeth.lnk.to/subscribe Megadeth - Whose Life (Is It Anyways?) From the album "TH1RT3EN" released November 2011. 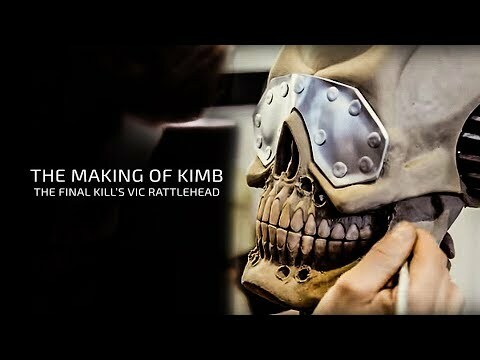 Directed and Produced by: Cody Calahan VFX: Nick Flook DOP: Chad Archibald Ooh, you're just in time to get "
Megadeth - Presented with Double-Platinum Awards in Sydney - Dec 18 2010 Subscribe here: https://megadeth.lnk.to/subscribe Megadeth was presented with Double-Platinum awards in Sydney, Australia on December 18 for the "Big Four: Live In Sofia, Bulgaria" DVD which sold over 30,000 copies in Australia. 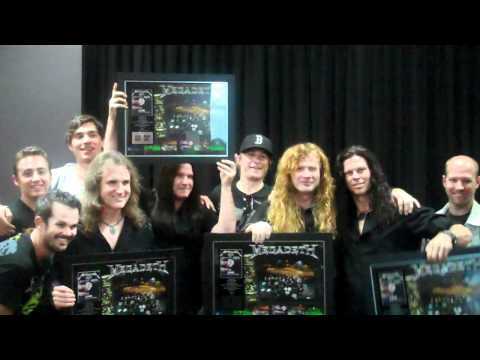 David Ellefson comm"
Chris Broderick and Shawn Drover - Jägermeister Fall Music Tour Imagine being asked to join a band that you not only looked up to, but also having the opportunity to perform one of the group's most influential albums on tour nightly? 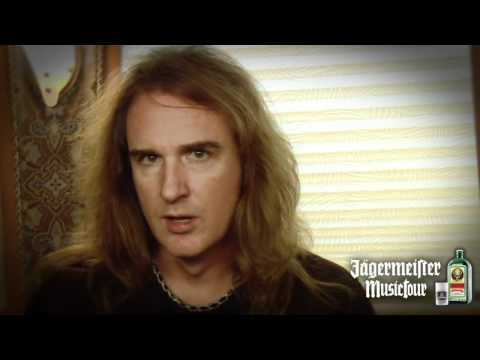 That's what we talked about with Chris Broderick and Shawn Drover while on the J"
Megadeth - Backstage with David Ellefson on the Jägermeister Music Tour Subscribe here: https://megadeth.lnk.to/subscribe Backstage with David Ellefson. 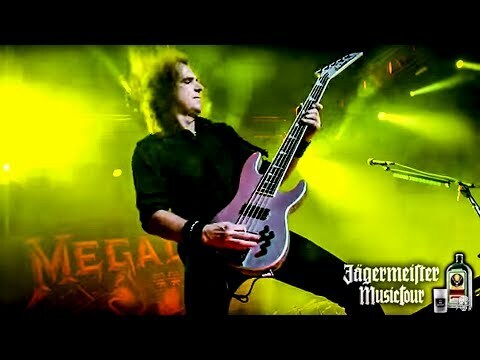 Site: http://megadeth.com Cyber Army: http://megadeth.com/cyberarmy Facebook: http://facebook.com/megadeth Twitter: http://twitter.com/megadeth Instagram: http://inst"
Megadeth - Jägermeister Music Tour - David Ellefson Subscribe here: https://megadeth.lnk.to/subscribe Jägermeister Music Tour with David Ellefson Site: http://megadeth.com Cyber Army: http://megadeth.com/cyberarmy Facebook: http://facebook.com/megadeth Twitter: http://twitter.com/megadeth Instagram"
Megadeth - David Ellefson Unboxes Megadeth Collectibles Subscribe here: https://megadeth.lnk.to/subscribe David Ellefson shows off some Megadeth rare finds he's collected over the past 35 years. 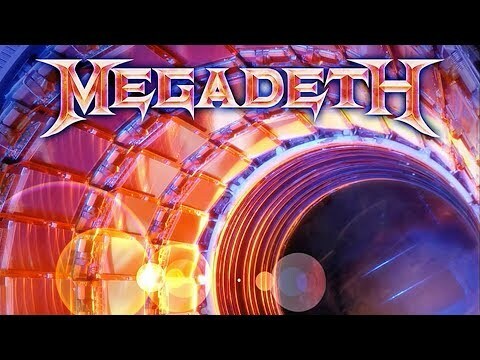 #MEGADETH35 Site: http://megadeth.com Cyber Army: http://megadeth.com/cyberarmy Facebook: http://facebook.co"